Ever wondered how a movie character can burst into pieces, turn into a beast or jump from a rooftop and land on two feet completely unharmed? Stunts like these would be impossible to do without companies like TNG Visual Effects. Armed with Eva and Spider, TNG produce 3D models of characters and props that are later incorporated into movies to explode, shatter, transform – you name it. You can see TNG’s work in The Man of Steel, The Twilight Saga, The Girl with the Dragon Tattoo and many other top-grossing Hollywood blockbusters. Want to take a peek behind the scenes? Filmmakers are story-tellers and not typically the ones making the decision on what to use to create a scene, Tesi adds. That is most commonly decided by the Visual Effects Supervisor who will choose whether or not they use 3D scanning for the job. The budget for the project plays a big part. If it’s a tighter budget, the Supervisor could elect to use practical effects instead, meaning they might actually blow up a house or car, rather than have a completely computer generated scene created. This may save a few dollars if the first shot taken is perfect, but you could end up losing money if you need to reshoot the scene. Using a digital double of a vehicle, prop or even a character gives the director more control of the scene by allowing multiple takes until the scene looks just right. 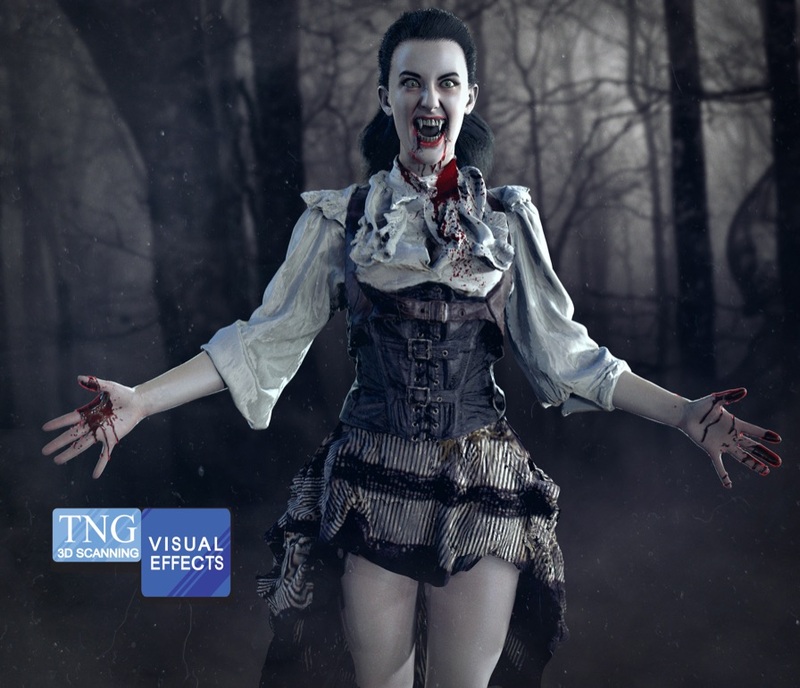 TNG have been working with Artec scanners for five years now, calling themselves “early adopters.” They usually use Eva for heads and bodies, and Spider comes in handy when scanning props and any detail on the body that calls for a finer scan. Among Eva and Spider’s strengths, Tesi names their small footprint that travels well, better data with newer software, high accuracy and pre-calibration. One of the most challenging jobs performed by TNG has been the scanning of a character wearing a lot of intricate armor. For that, TNG used a combination of Eva and Spider which helped them deliver a quality digital double to the customer. 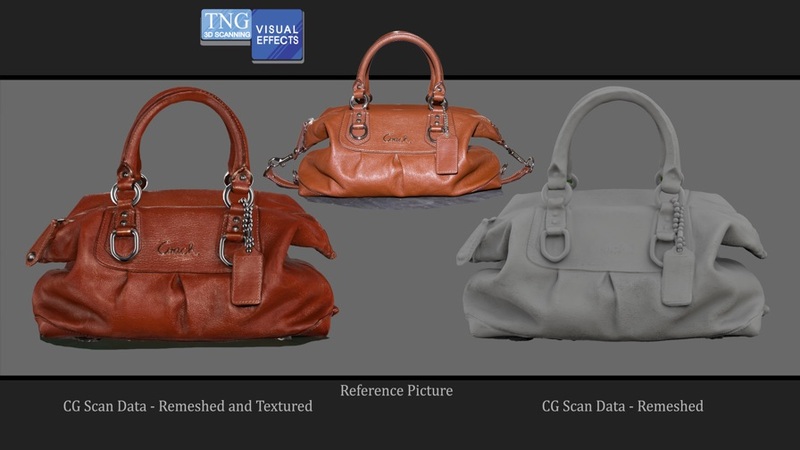 To begin the process of 3D scanning an object, reference pictures are first taken which aid the 3D modeler, the 3D texture artist, and during final quality check to make sure the 3D object matches the real-life counterpart. After the object is 3D scanned, the scan data is aligned and fused together. Once the 3D scan technician acknowledges they have as close to 100% coverage as feasibly possible, the scan is complete and can be processed. Once the skeleton is sitting nicely within the computer generated digital double, a process called weighting takes place. This allows you to work out how much skin each specific joint will drive. 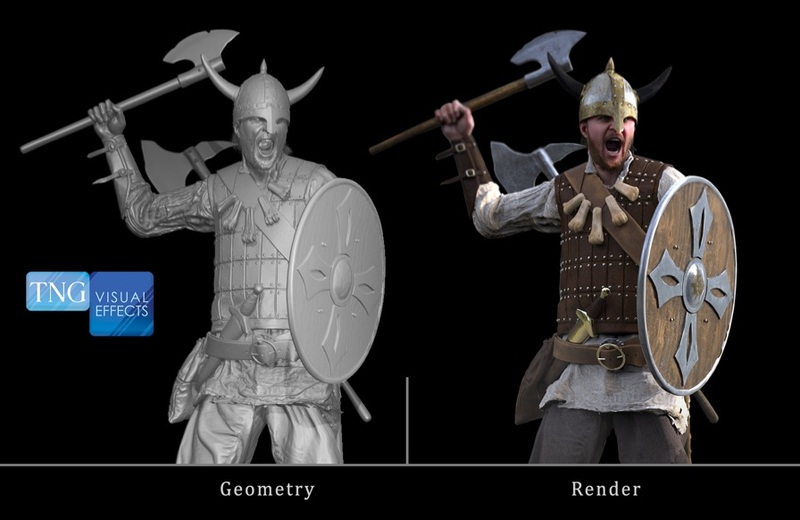 Dialed-in weights will visually create lifelike movements when the character is animated. To animate these joints without having to actually grab the joints themselves, a GUI is created, which is connected to the joints via orientation constraints. 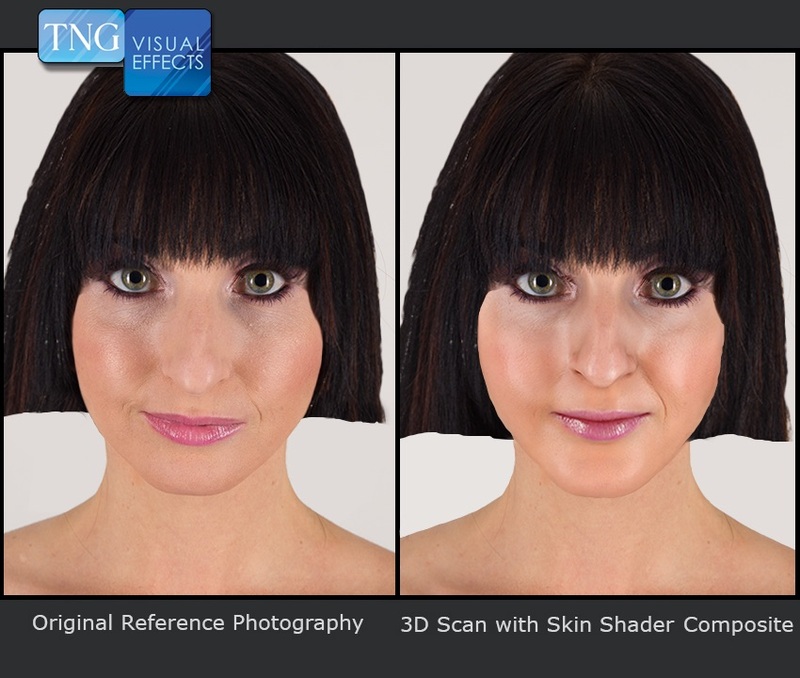 This allows an animator to more easily and intuitively animate a 3D character. After animation, the video is rendered frame by frame on a network of computers called a render farm. Tesi says there are three components to creating a great 3D character. The first one is making sure the character design itself looks like a real human. The overall structure of the body and the look of the skin all need to look like a real person. From the hair to the cyber clothing, every part needs to flow naturally. The real life character and the virtual character need to make the viewer wonder which is which – well, it shouldn’t even be a question. The second component is full body animation, seeing how it moves – whether it’s stiff, jerky, ill-timed, or even too smooth like an astronaut on the moon. In working with live action, the character needs to have fluid movement to match that of a live character. 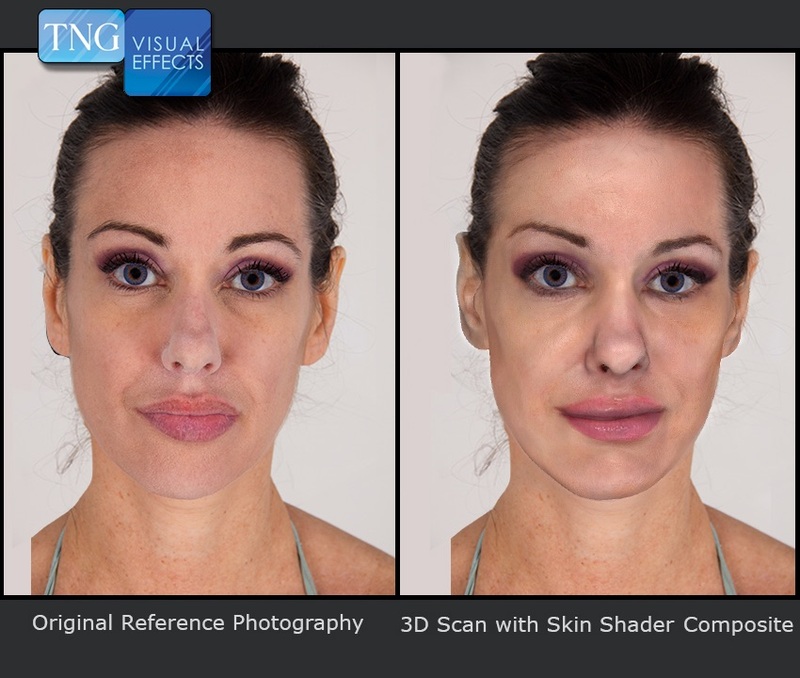 Last but not least, facial animation must look like a strong realistic performance. We all know what faces look like as we see them every day; it’s easy to comprehend a person’s emotion by looking at their face, but in 3D that must be created. If not done correctly, the upper part of the face, in particular dead flat eyes with a thousand yard stare and a lower forehead, could give it all away. Eyes need to have the correct proportions and require as much detail as possible, especially in the corners. The same goes for the mouth and ears. Finally, the volume and flair of the nose needs to have proper nostril placement that is non-symmetrical. 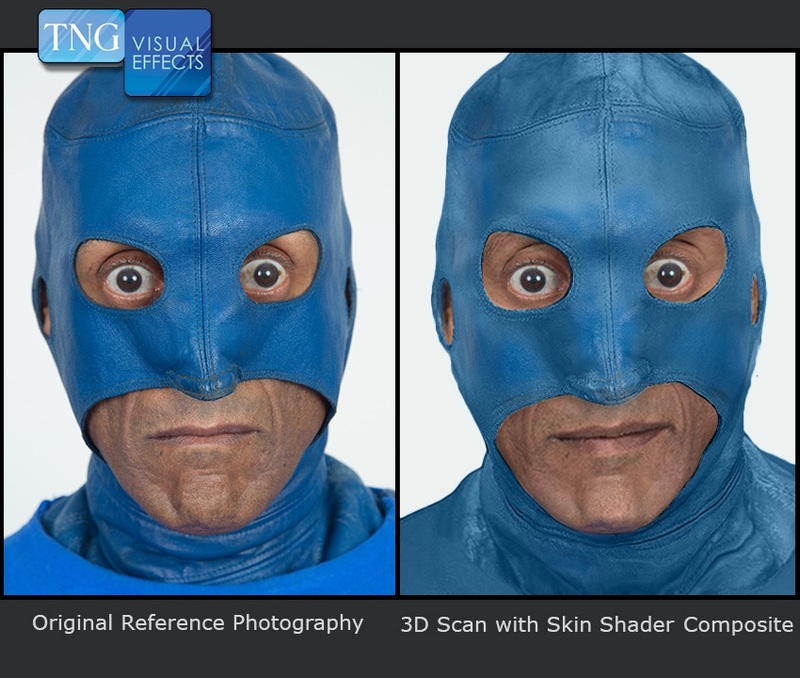 As 3D scanning and 3D modeling technology evolves, it will be nearly impossible to tell which characters are computer generated and which are the real thing, making it a very personal and real experience. 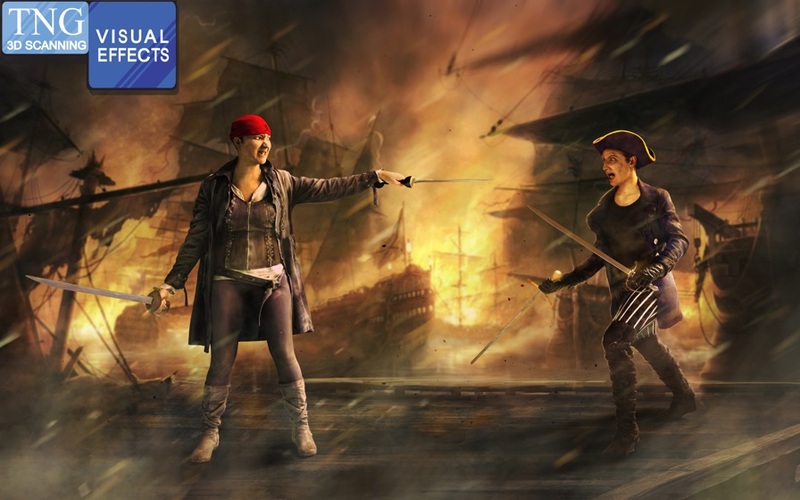 We’ll see movies and television, like video games, becoming completely digital – the backgrounds, foregrounds, characters, etc., providing full digital entertainment in all media in an unpredictable timeframe. 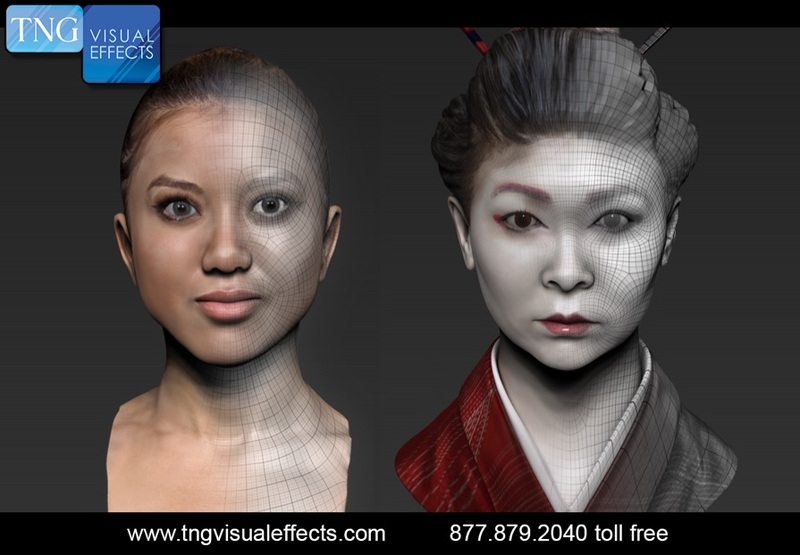 Given that the cost and time of 3D scanning services and/or equipment is becoming smaller (but still producing a high quality product), it’s highly likely that non-Hollywood filmmakers outside the U.S., including in Asia, Europe and Latin America, will catch up with them in the trend of using 3D scanning to create movie visual effects. It’ll become more accessible through price dropping, rental agencies, service bureaus and if technology becomes easier to use without the need of a 3D scanning technician who knows the entire pipeline of how to produce 3D models. If 3D scan data could automatically be stitched together already in full color and could produce a high quality digital asset that was usable in production, it’d be a huge breakthrough. The possibilities for computer generated assets would be endless because the delivery time would no longer be such a factor. Tesi believes that in the near future, movies, commercials, and television programs will be 90-100% digital, which could lead to the viewer being able to create their own ending. The purchase of Artec Space Spider 3D scanner saves time and money for a visual effects company working on the Fear the Walking Dead series. 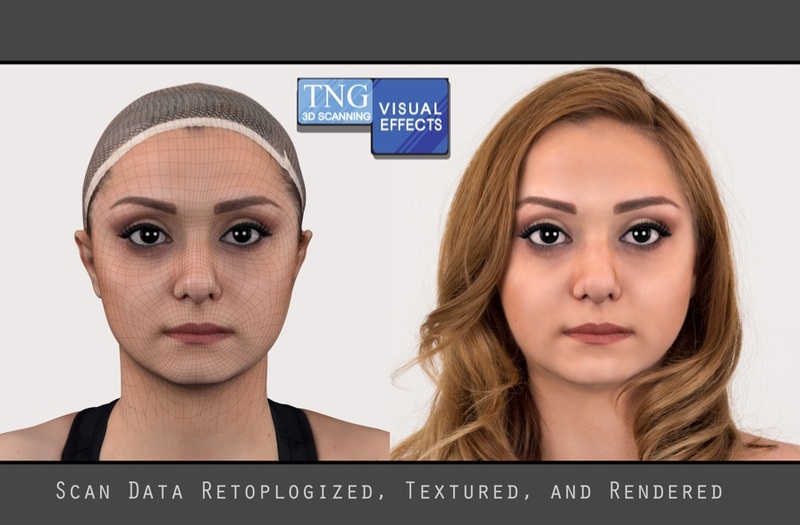 Legacy Effects use an Artec 3D scanner to bring Terminator Genisys into the real world. Artec 3D scanners were used to create realistic 3D models of Brazilian National Football team players for an upcoming multimedia project.